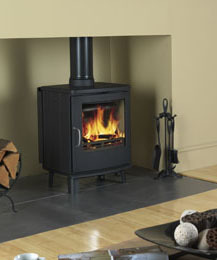 This efficient wood-burning stove. 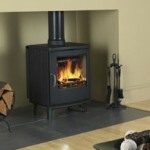 It is available as a black convection model, with soap stone sides and top, or with short legs. The chrome handle can be fixed or detachable for child safety. For more information please contact, or use our quote form for a provisional cost.